Well, it’s because Tesla has a referral program for owners to get their friends and acquaintances into a Tesla Model S or Model X. 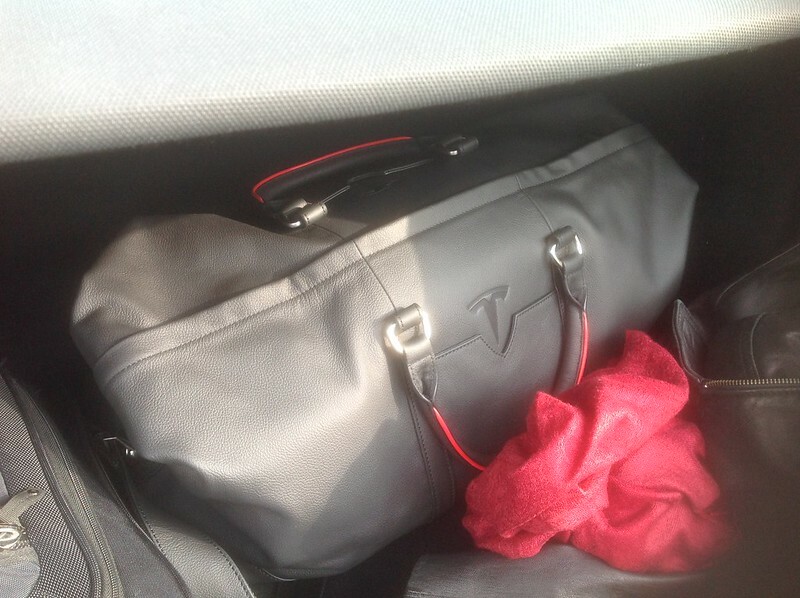 The original iteration of the program had provided cash rewards (service credits and the like) for each referral that purchases a Model S or Model X. That was cool, but felt kinda “funny” and it was actually a disincentive for me to participate when the reward program was for cash. Here is a link to the current program. Subsequent programs provided a prize pool for each referral and the one that has been the most successful for me had been the referral program that led us to an invite to the gigafactory party and our main 2016 Roadtrip that took us the Long Way Round to the Gigafactory. What did we get here? 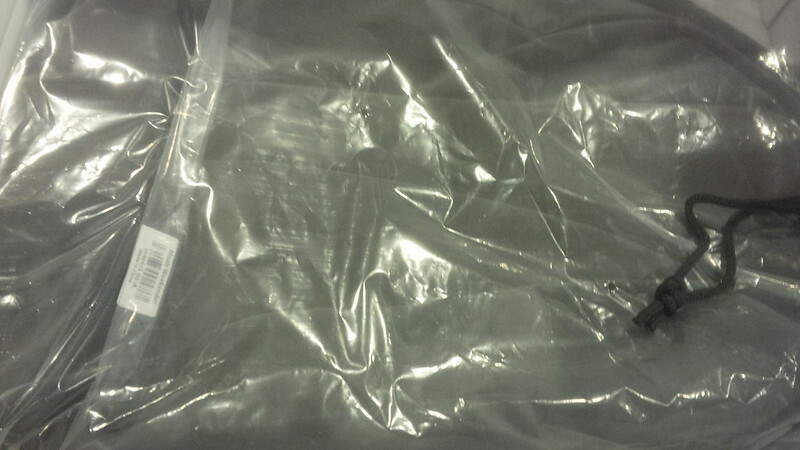 Whatever it is, it comes in the nice Tesla bag. 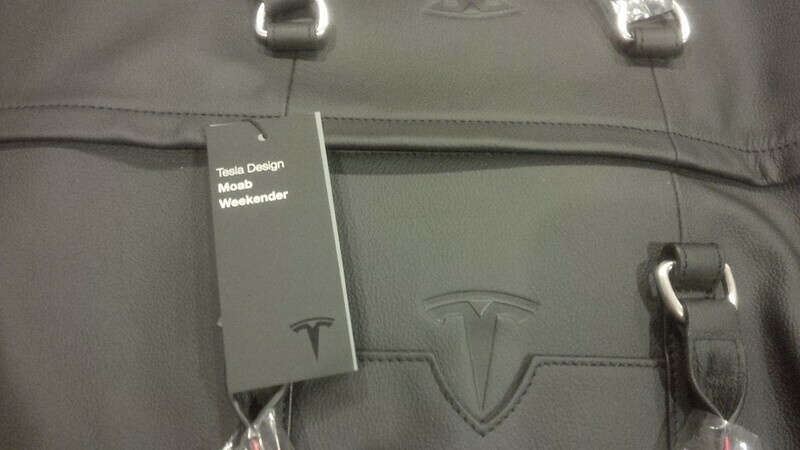 It’s the Tesla Moab Leather Weekender. 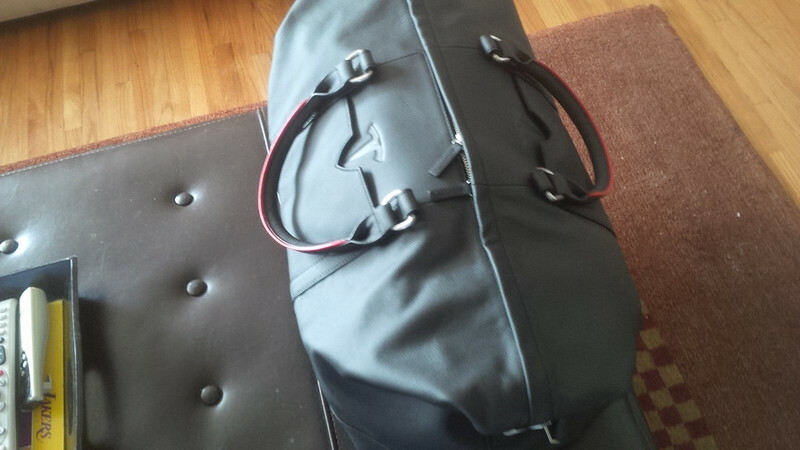 The bag is supposed to be for a weekend, but it was pretty full for the overnight trip we took to try it out. 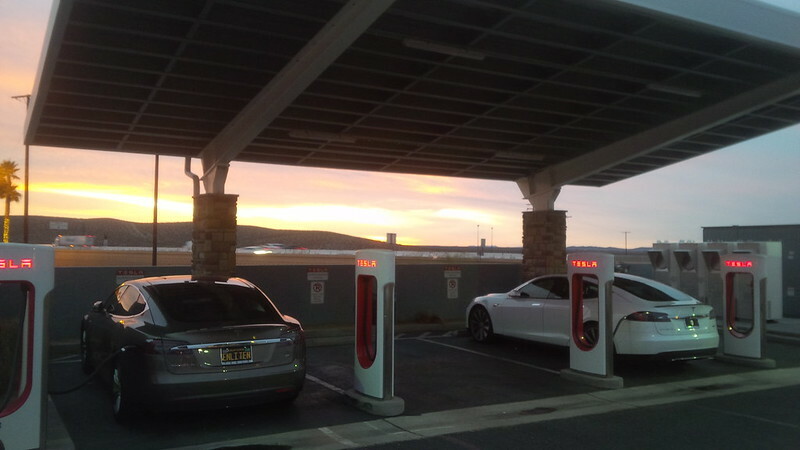 And here it is in the trunk of our Model S.
So, we took the weekender bag on a trip and caught a nice sunset at the Barstow supercharger. 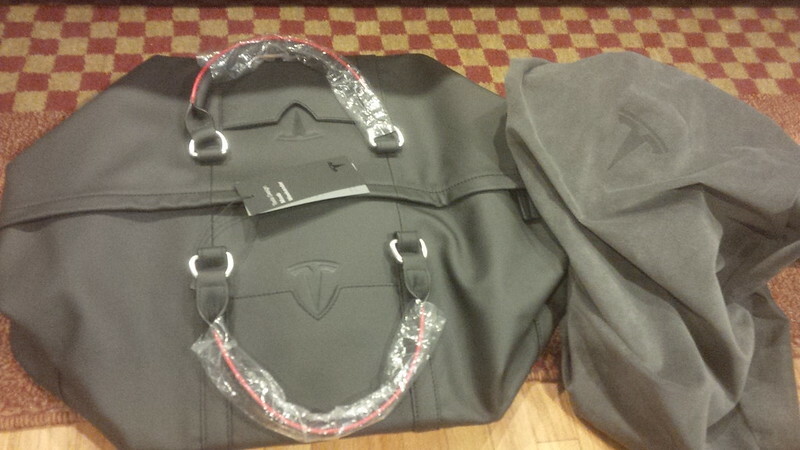 A week after the trip, we got something else in the mail from Tesla. 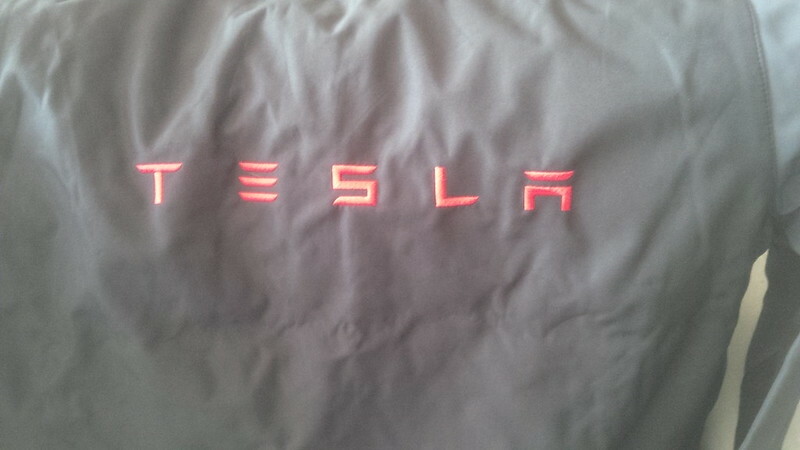 It was the personalized Tesla Owners jacket. 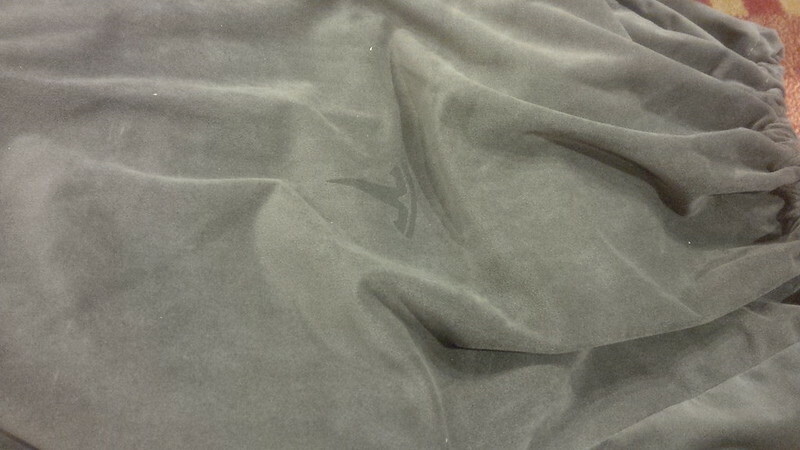 They even put our last name on the jacket. 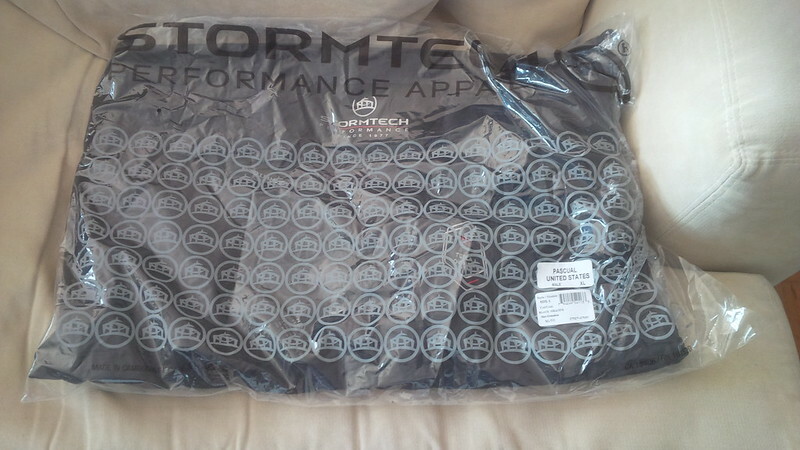 The back has a nice standard logo on it. 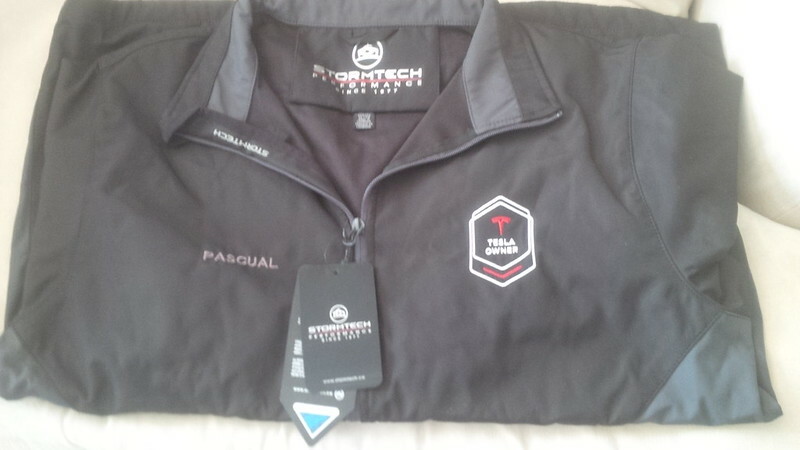 So, beware when wearing this jacket at a company event, folks might think that you’re an employee. Or as others call it… Summer. Now, this current program that runs until January 15 is actually pretty cool. After seven referrals, Tesla will provide the referrer with a Signature Red Powerwall 2 that is signed by Elon, JB Straubel, and Franz von Holzhausen. That’s my goal and need a LOT of help before then. So, if you’re looking to order a Tesla Model S or Model X before the end of the year, you get $1000 USD or £750 GBP off (or equivalent currency) AND be eligible for free supercharging for the life of your vehicle. 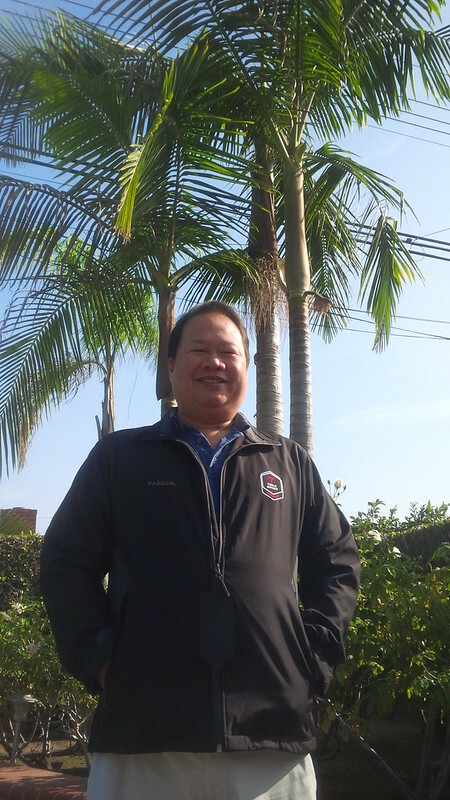 Our Referral code – http://ts.la/dennis5317.